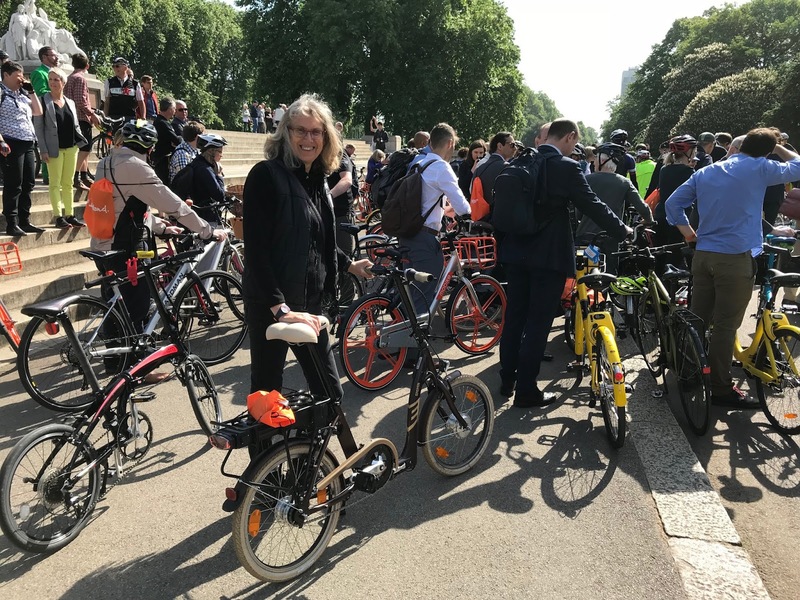 We were delighted to be invited to join MP’s, Peers and Cycle Industry leaders and decision makers for the Parliamentary bike ride on Wednesday. 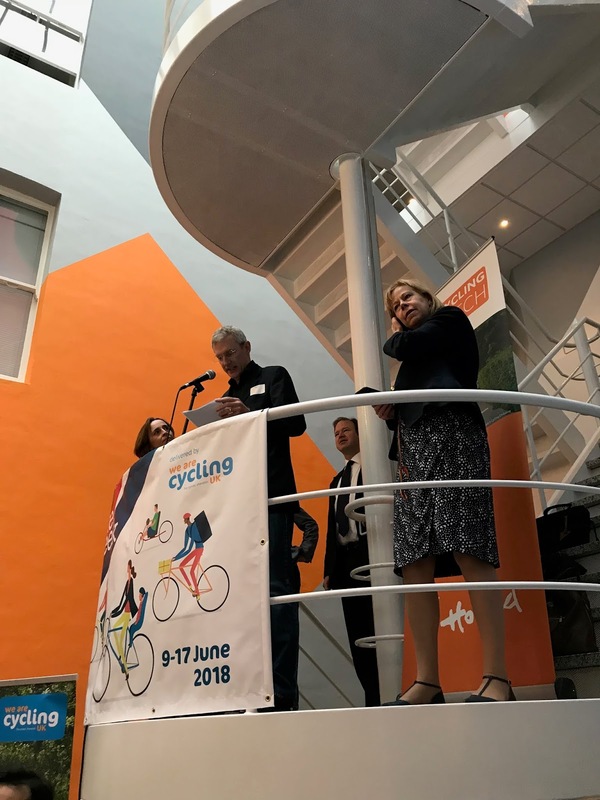 The ride marks the launch of Bike Week and started at the Embassy of the Kingdom of the Netherlands in London. Riders gathered at the Embassy from 8.00am for breakfast and speeches. The MC this year was Jeremy Vine, broadcaster and cycling advocate. He cycles to work but said that cycling in our cities needs to be safer so that everyone, young or old can enjoy the benefits of cycling. 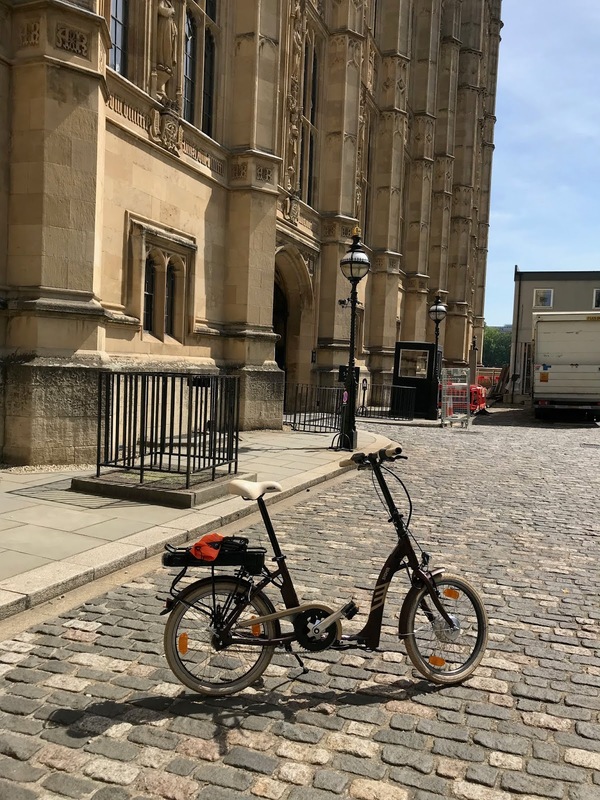 He said that cycling had made it possible for him to eat cake without worrying about the consequences – I definitely like his sentiment, bring on the cake! 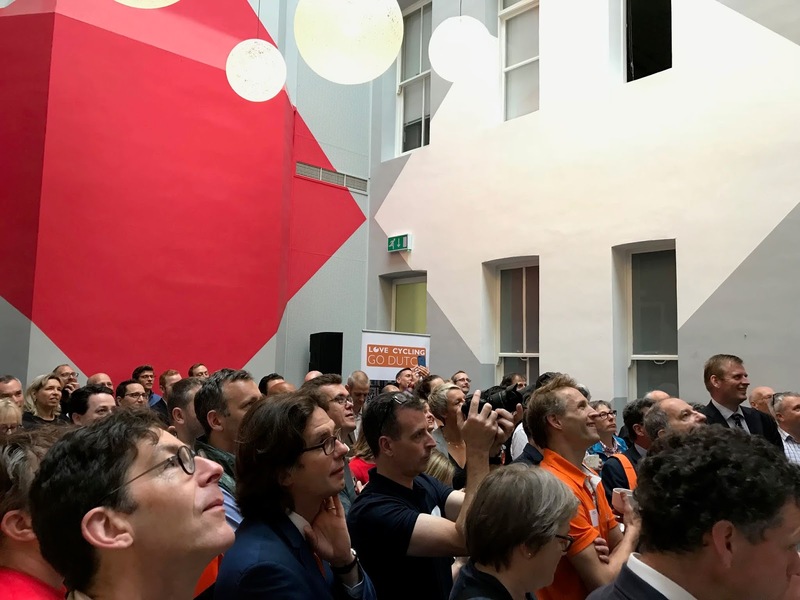 Tessel Van Essen Senior Commercial Attache at Embassy of the Kingdom of the Netherlands welcomed everybody to the event. Ruth Cadbury, MP and Co-Chair of the APPCG said that she was a recent convert to electric bikes. She believes that they will make a difference to transport issues in cities and reiterated they were ideal for Destination Clothing. Paul Tuohy, CEO of Cycling UK, said that Bike Week aims to get 0.5 million people to think about using a bike. He said that 27M people have access to a bike yet only 800,000 people cycle to work. 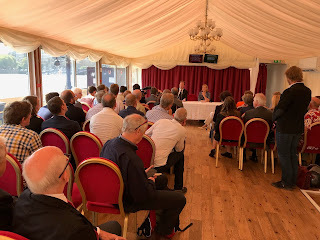 Jesse Norman, MP, Parliamentary Under Secretary of State for the Department for Transport said that cycling is good for air quality and community. 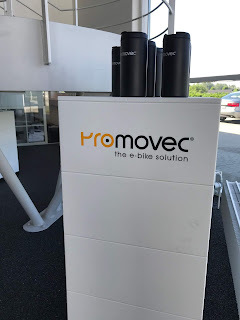 He is trying to make a difference on cycling and walking. With the speeches out of the way it was time for the bike ride. 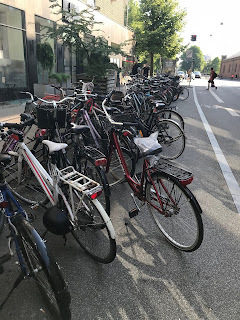 There was quite a crowd of bikes and cyclists in the front courtyard of the embassy. 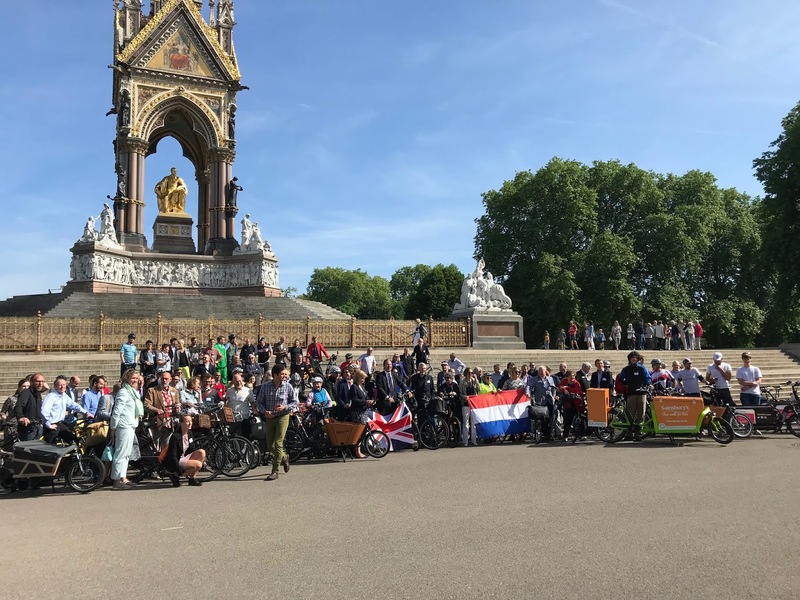 We made our way over the road to Hyde Park and gathered up on the steps of the Albert Memorial for pictures. I had driven part way into London and parked outside of the congestion zone. 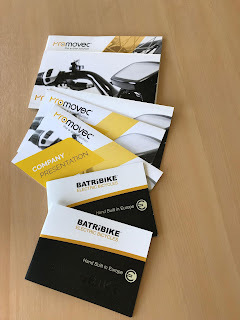 I had the Batribike Sigma folded in the boot of the car. It had been easy to get it out and ride down to the embassy. And then we were off – the best part of the day – everyone was chatting as they rode. The sun was shining and there was a general feeling of how great it is to be out on a bike. I have been to this event several times over the years and this seemed to be the biggest crowd I had seen. 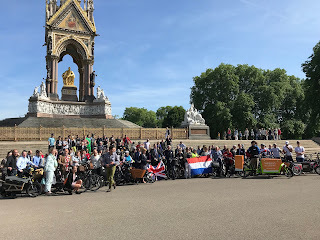 The route was mostly on cycle paths and it was quite something to see so many riders in “destination clothing” riding round in front of Buckingham Palace. We rode on past several landmarks to the Palace of Westminster and went in by the House of Lords entrance. 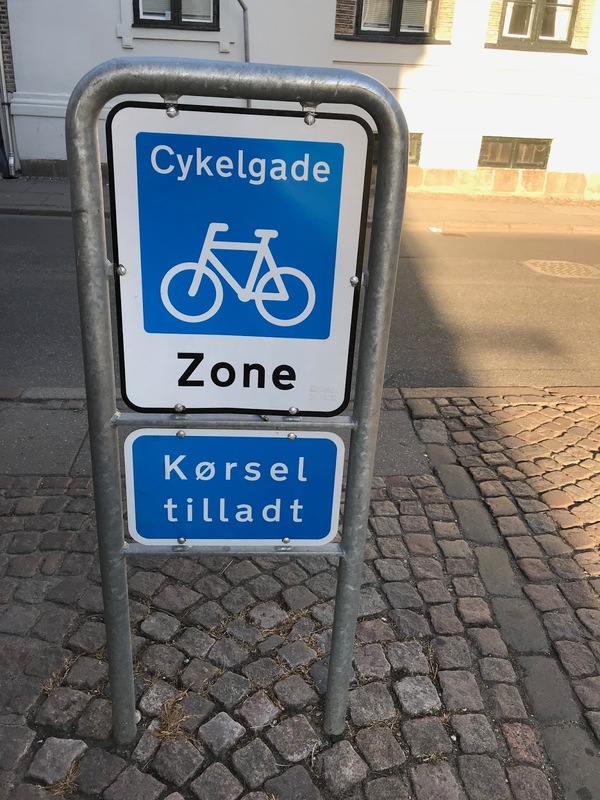 Bikes were parked and security negotiated. We headed in and attended a short Q & A session with Jesse Norman. It is always an interesting event to attend because you don’t know who you will be talking to on the ride and you get to hear different perspectives on cycling and the way forward on infrastructure. 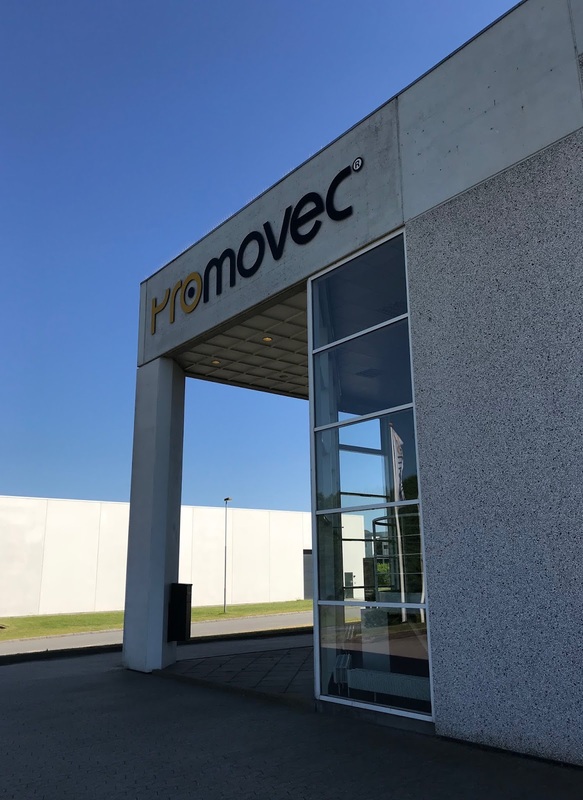 The event was over for another year and it was time to return to the car. Round Parliament Square and down to Birdcage Walk. Birdcage Walk had been closed to traffic, but after a quick check with a friendly Police Officer – the Cycle Path was still open – when we had come down here earlier the road had been filled with cars, busses and taxis. Now it was strangely quiet as I rode along. When I got to the end and arrived at Constitution Hill I could see why. It was the changing of the guard and all the roads were closed. 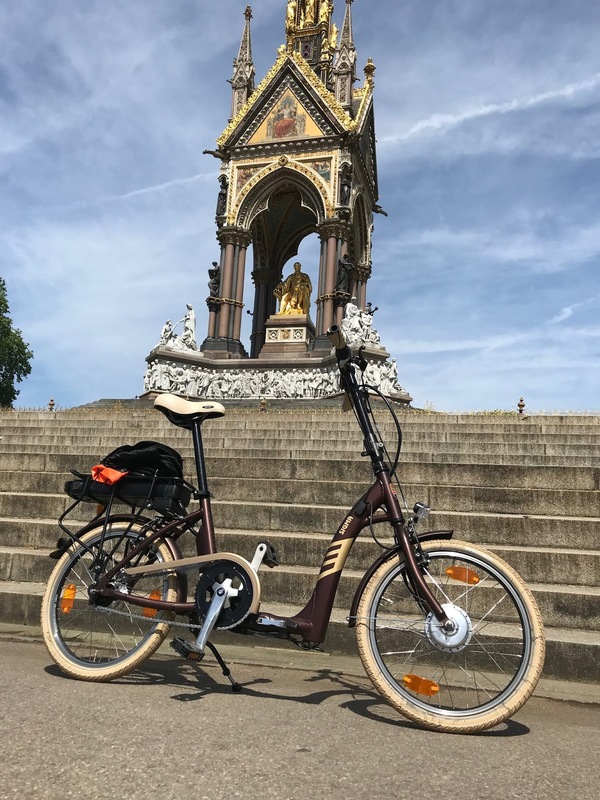 Crowds of tourists behind the barriers, and just me, a lone cyclist, on a Batribike Sigma, riding round the Victoria monument. I felt the urge to wave to the crowds but managed to resist! From there it was back to Hyde park and a glorious ride next to the carriageway. The gardens were looking good as I stopped to take some pictures. It had been a day of cycling contrasts, crowds of packed together cyclists waiting at traffic lights, and then, me cycling on my own! Brilliant. 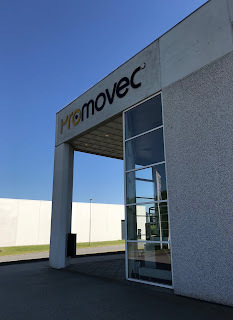 I have just come back from a visit to Promovec our Danish partner. Promovec designs and supplies the electrics for the Batribike range of electric bikes. The world renowned quality of Danish Design really shows up in the warranty we are able to provide with our bikes. As far as we know no one else is giving a three-year motor warranty here in the UK. The transferrable warranty on all relevant parts of the Batribike range is also second to none. 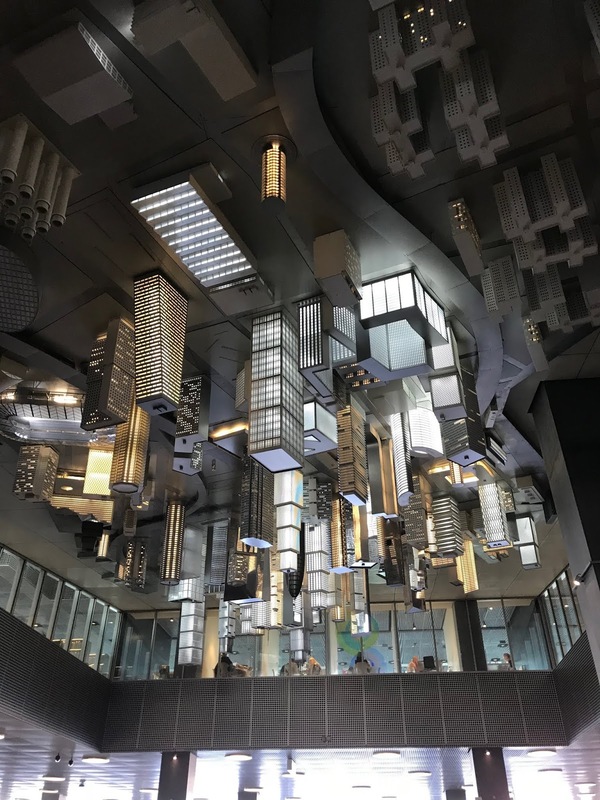 It was my first visit to Denmark and so the first time I had visited the facility in Aarhus. 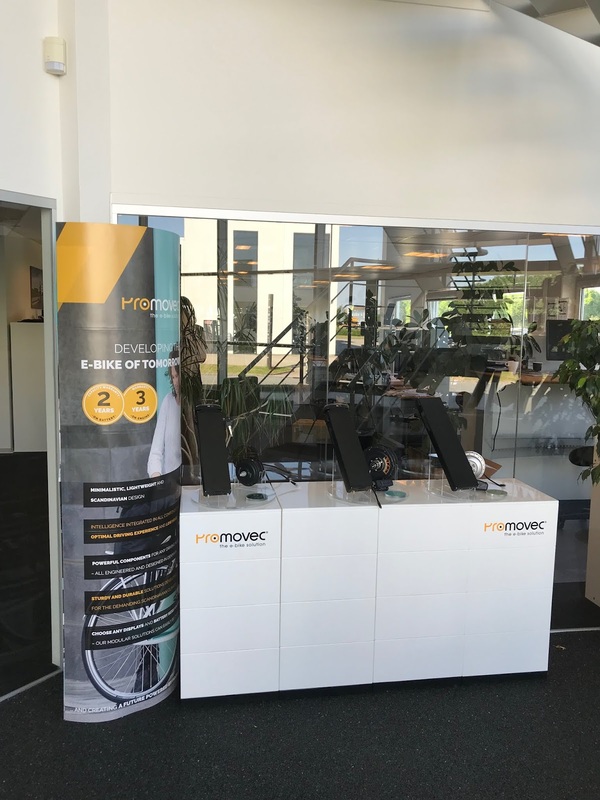 It was great to meet the people and see where the innovation for their designs is taking place. I was very interested to see the cycling culture in and around the city of Aarhus. 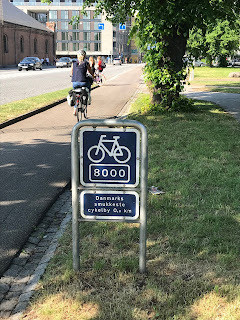 When other countries were making space for cars in the 60’s the Danes refused to let the bicycle be pushed out and continued to build cycle lane infrastructure. 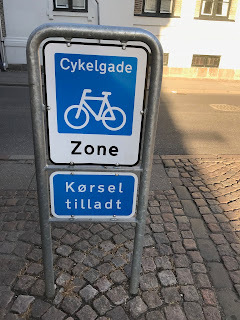 There are some superb cycling signs around the city, which is not surprising when, on average, the citizens here cycle 2.5km a day. Even though the UK is behind Denmark in terms of infrastructure for cycling there is now a huge commitment to change this. 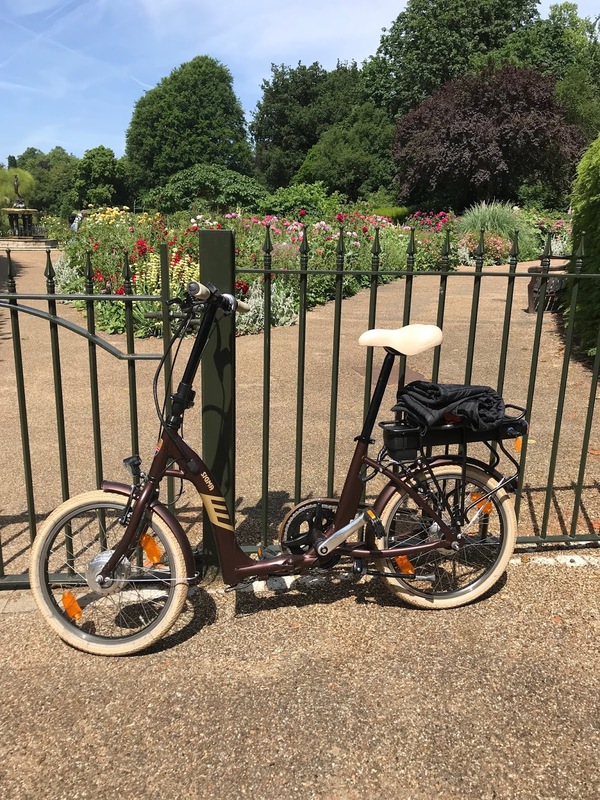 The Mayor of London is committed to improving cycling in the City and is now also promoting the use of electric bikes. 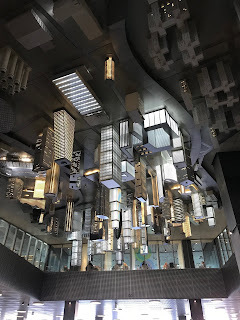 Something we did not think possible even a few years ago. The Mayor of Greater Manchester has also unveiled plans to invest £160m in cycling and walking. This includes £50m a year for three years for cycling. 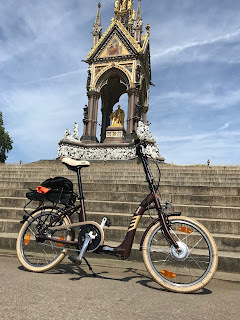 The future for electric bikes as everyday transport here in the UK is very bright.